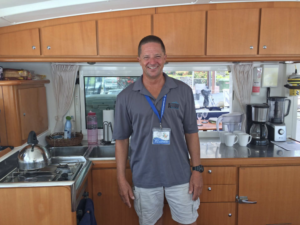 Charter Captain Brian Saupe is the sole Owner, Crew and Commander of charter yacht ALTITUDE ADJUSTMENT. What makes this charter option one of the best? The Lagoon 440 is new, an excellent charter-version build. She’s smooth, safe, stable and comfortable, great for first time sailors. But she’s only half the reason. 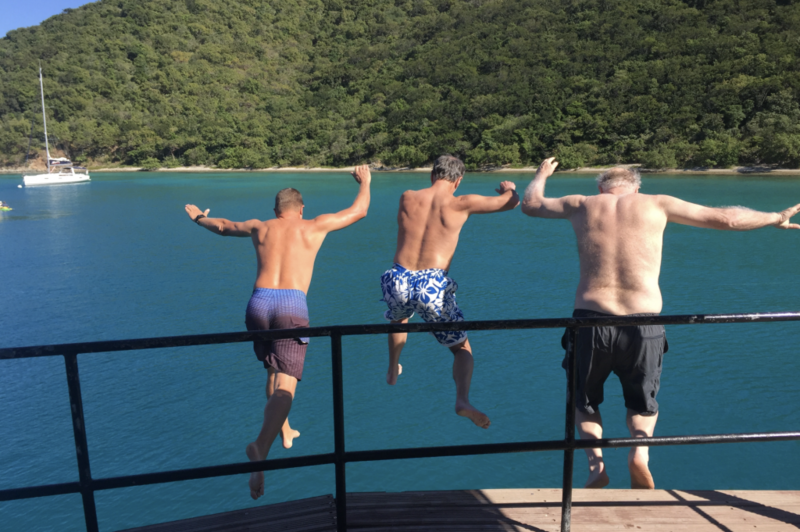 Charterers know that it’s the crew that make the charter magical. Brian does that single-handedly. His far-reaching knowledge and experience is remarkable. His patience and good humor is inexhaustible. He’s super fun to be around. 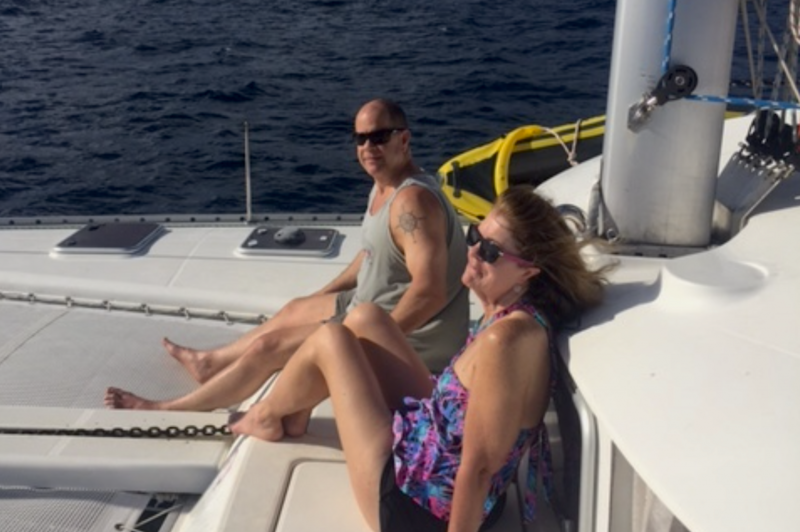 Maybe, Brian is so relaxed and happy because he lives on a luxury catamaran in paradise. Maybe it’s because he’s retired from 31-years in law enforcement, and he’s not in the charter business for the money. 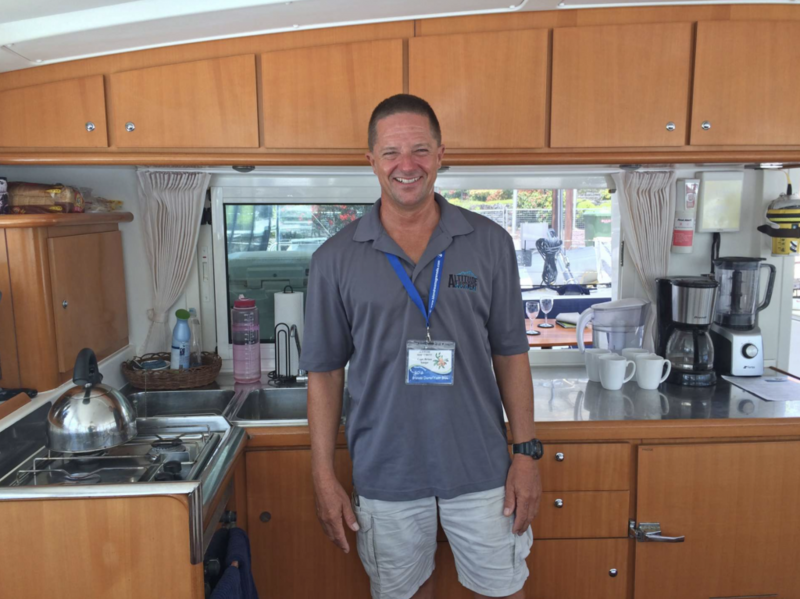 He says he’s in it for the joy of sharing the yachting experience in this beautiful part of the world with his guests. We interviewed Brian to find out how he engineered life to be so sweet. When did you start boating? I had a lifelong dream of sailing around the world when I was in elementary school. After college, I worked in law enforcement on the streets of Los Angeles County and later in the Denver metro area. Towards the end of my career, I completed sailing certification courses and obtained my USCG Captain’s license. 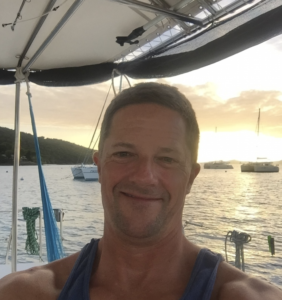 When I was able to retire, I sold everything and moved to the Caribbean to pursue my sailing dream. Describe a charter aboard ALTITUDE ADJUSTMENT. I do everything on board ALTITUDE ADJUSTMENT, captain, cook, bartender, maid, plumber, engineer, diesel mechanic, etc.…..sorry, but I can’t sing. I have cooked all of my life, learning from my mother, grandmother, and Boy Scouts – I love to eat, so I love to cook. Also, I have been a fitness fanatic my whole life and very physically active to stay in shape. 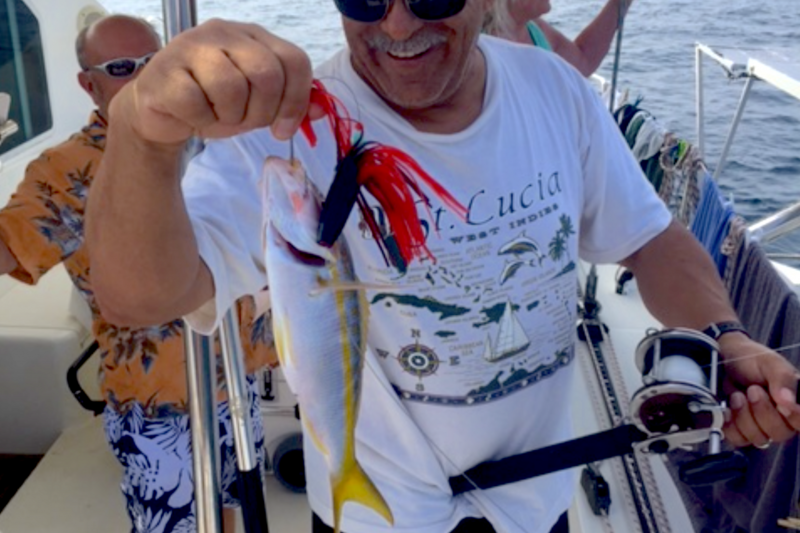 My routine has included teaching swimming, sailing, lifesaving and snorkeling classes, so I am always available to help with those who have little experience in the water. 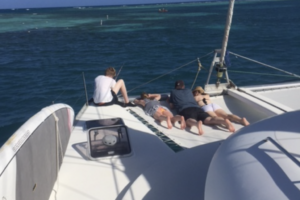 I am very flexible and am happy providing the type of charter my guests prefer. But, I do enjoy interactive charters, as it is so much fun enjoying the vacation along with my guests. What is your favorite yachting destination? 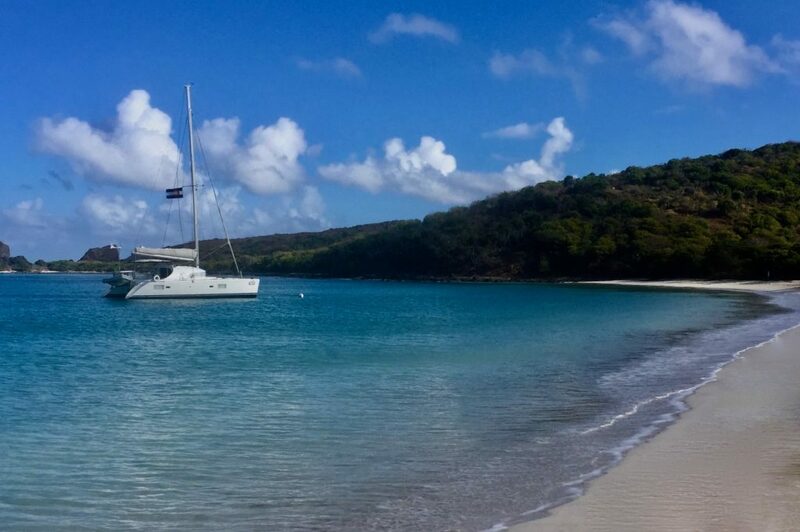 I have so many favorites, but in the Virgin Islands, I would have to choose St. John for its natural, uncrowded beauty. The beautiful bays in the national park all around the island are amazing. What is the funniest yachting incident you can remember? Vacation aboard ALTITUDE ADJUSTMENT with Charter Captain Brian charting your course and make unforgettable memories of your own. He’ll make sure of it. 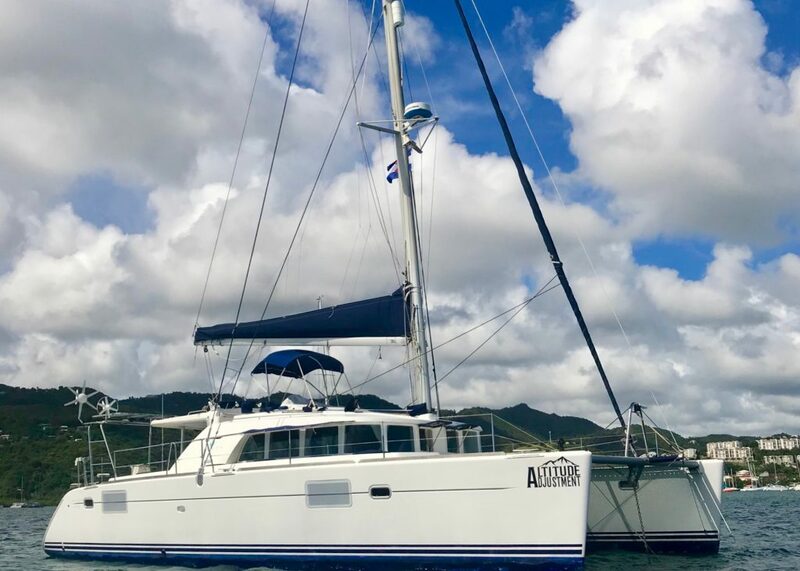 ALTITUDE ADJUSMTENT is a beautiful, new Lagoon 440 sailing catamaran. Relax on deck with seating for eight. Sprawl across double trampolines. Ride the turquoise sea and bask in the Caribbean sun. In the shaded cockpit, ocean breezes refresh. Dine al fresco at the teak table with seating for 10. Each of the four, spacious queen cabins is fully air-conditioned, thoughtfully appointed, and has a private head and shower. Charter guests rave about their vacation on board ALTITUDE ADJUSTMENT. Contact Select Yachts to book your vacation with charter Captain Brian. Don’t you deserve a week of Altitude Adjustment?